Calling all Hunter region Hackers, Hipsters and Hustlers! 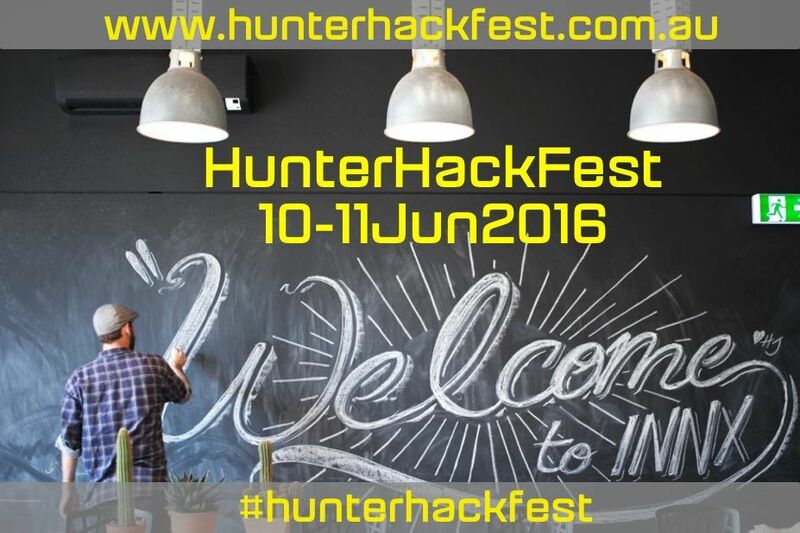 Come join us on 10-11June2016 as we mix a dash of MakerFaire spirit, a pinch of StartupWeekend spice and some heat from the crucible of TheEdwards Bar and Innx.Hub workspace to quicken the digital pulse of the Hunter region and its urban spaces with your creations as part of the Hunter Innovation Festival. Participants: Individuals must be 18yrs of age or older, Team entries may consist of organisations for up to a maximum of 5 people (teams need to be between 2-5people max). Student entries will be required to verify student IDs and be currently enrolled to be eligible for student tickets. Open to Australian Residents. We will be seeking a broad mix of Hackers, Hipsters and Hustlers to ensure optimium team compositions to get the best results. Submission Requirements will be for completion of a pitch deck and/or prototype that addresses the judging criteria and requirements. Pre-registration is required with an Eventbrite ticket from https://www.eventbrite.com.au/e/hunterhackfest-tickets-25310340911 with event attendee numbers capped at 80 people to fit within our intended venue. We reserve the right to curate the attendee list in order to maximise local entrant opportunities to participate and achieve the best chances of success for regional health needs. If ticket sales reach capacity, we will be actively managing the waitlist. Lean Canvas completed for your concept. Aligns to one of the nominated Hackathon categories. Leverages digital capability - APIs, composition or extends an existing platform with extra value.